In the process of choosing the best food for your dog, you will be faced with a lot of confusing information about dog food & treats. Our aim here is to help you sort it all out by clarifying the most confusing aspects about pet food and dog treats — so that you will ultimately feel confident about the type of diet you are providing for your dog. And, hopefully, your dog will enjoy many years of healthy eating habits. Plus, we’ll provide you with some of the best homemade dog treat recipes and Kong stuffing recipes to add a little variety to your dog’s daily diet. Odds are you have served your dog one or more commercial brands of dog food at some point. Usually, we start out serving some form of puppy kibble when the dog is young. Then, eventually, we settle in on a particular brand or type of wholesome diet that we feel is the best choice in order for our dog to lead a long, healthy life. What’s the best dog food? – how to determine the best dog food brand for your dog. Senior dog food tips – how to meet the nutritional needs of an older dog. DIY dog allergies food trial – how to tell if your dog is allergic to certain foods. Pet food recalls – get the latest dog food recalls and dog treat recalls all in one place. Dog food & treat expiration dates – expired pet food products have bugs & worms! Top 10 nutrients dogs need – these should be at the top of the list of ingredients. Is your dog a fast eater? 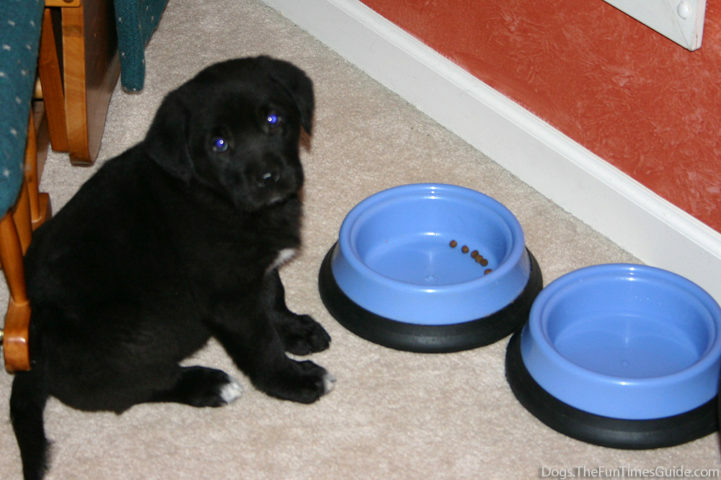 – the DogPause dog food bowl will slow your dog down. Some give their dogs commercial brands of dog food, while others provide a diet that consists of human foods — in whole or in part — either raw or cooked. Can dogs eat chicken bones? – see what to do if your dog ate chicken bones. 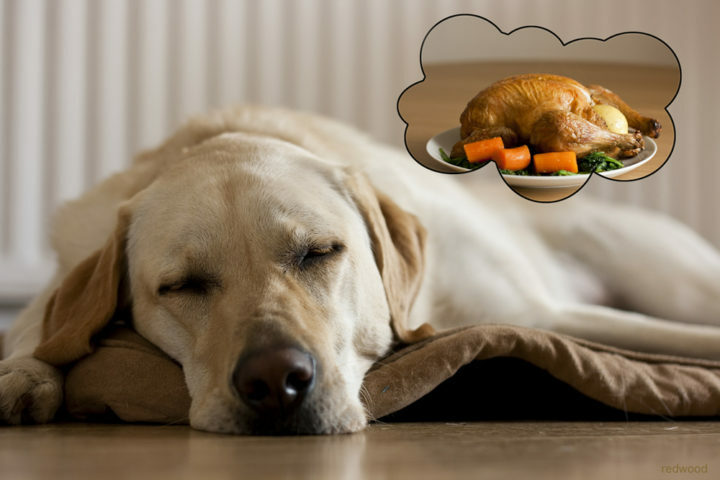 Homemade vs storebought food – if you’re thinking of switching to an all-natural diet for your dog. Can dogs eat turkey? – tips for feeding your dog turkey & table scraps for Thanksgiving & other holidays. Human foods that are safe for dogs – see which foods are safe for dogs to eat and which ones are not. Raw food diet vs cooked homemade food for dogs – should you cook your dog’s “real” food or serve it raw? Reasons not to feed your dog table scraps – if you do, your dog will become a beggar and a thief. 10 best homemade dog treat recipes – DIY dog treats you can make at home. Pooch smoothies – see how to make healthy smoothies for your dog. Dog recipes for stuffing Kong toys – human foods to mix & match for dog recipes & Kong toys. Frozen dog treat recipes – plus healthy dog smoothie recipes perfect for summertime dog treats! 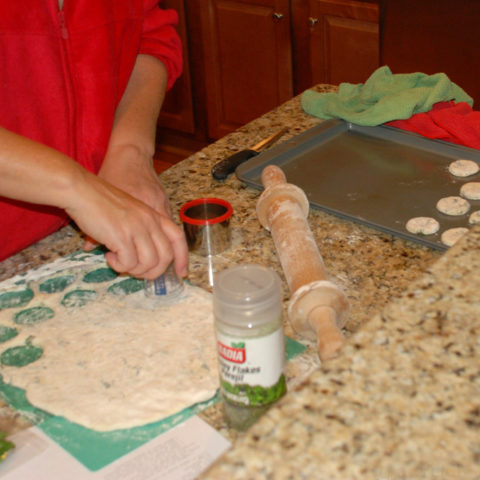 Easy recipe for homemade dog treats – these healthy DIY dog treats are a cinch to make. Whether you celebrate your dog’s first birthday, or every one thereafter, there are lots of fun ways to make the day special for your pet. Dog birthday cakes – where to buy ’em, plus how to make ’em! DIY dog birthday party tips – outside the box ideas for throwing a birthday party for your dog. Fun dog birthday ideas – DIY ice cream and birthday cakes for dogs. Build your own dog gift baskets – as much for the dog as the dog owner; decide what you want to put in them. Dog birthday parties – fun facts about people who celebrate their dog’s birthday each year. Stuff this in a Kong – soft foods, hard foods, and tips for freezing dog Kong toys. How to make Kong toys more challenging – tips for making it more difficult for your dog to get the treats! Biljac frozen dog food & liver treats – 2 dog-friendly products that work great as dog treats in Kong toys. How to stuff a Kong toy – step by step instructions, plus great tips for stuffing your dog’s Kong toy. Cleaning dog Kong toys – how to get in all of those nooks and crannies inside your dog’s Kong toys. How to get your dog excited about Kong toys – reasons to use different treats inside Kong toys. Sticky, oooey & gooey ingredients for Kongs – how & why to include messy treats in your dog’s Kong toys. More dog food tips & homemade treats!